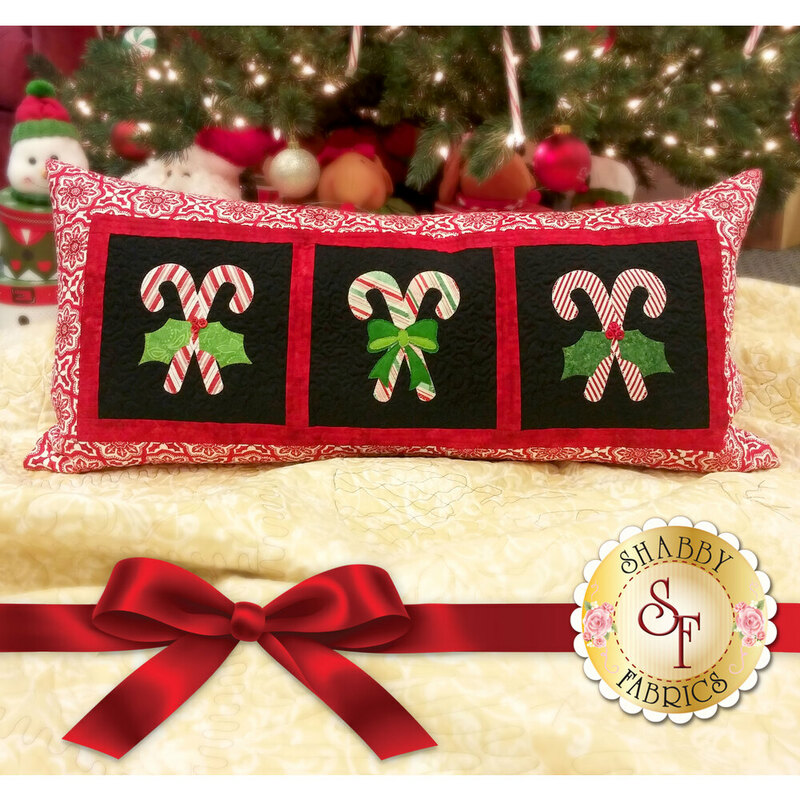 Spread holiday cheer with this adorable bench pillow! This Shabby Exlusive was made using our Shabby Shapes. Finished size is approximately 16" x 34". Pattern includes diagram and instructions to complete the pillow. 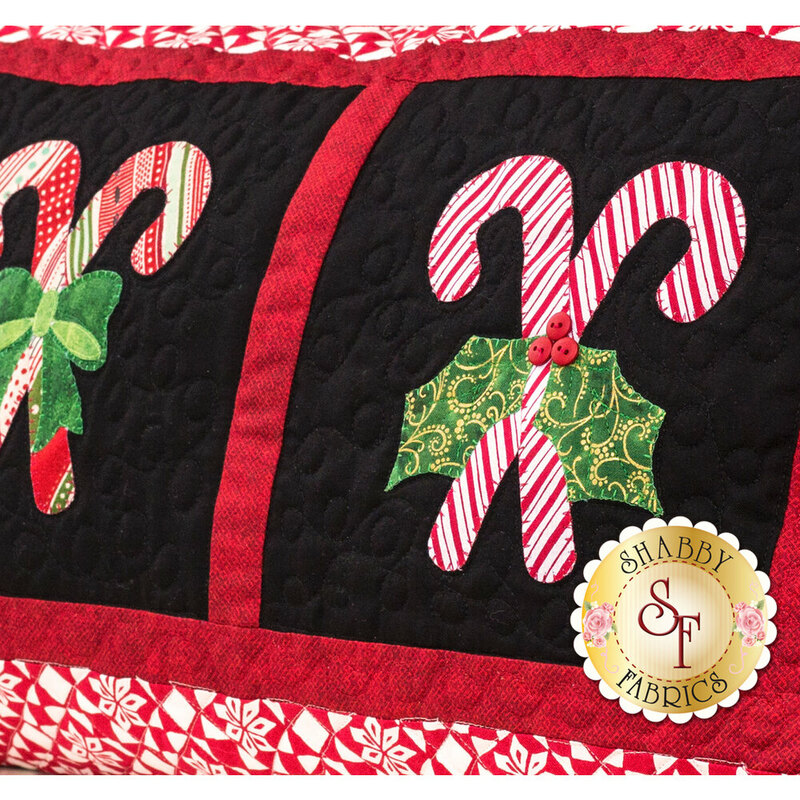 Love the Candy Cane and Holly Shabby Shapes? Check out all of our laser-cut applique shapes here for your next fun applique project! 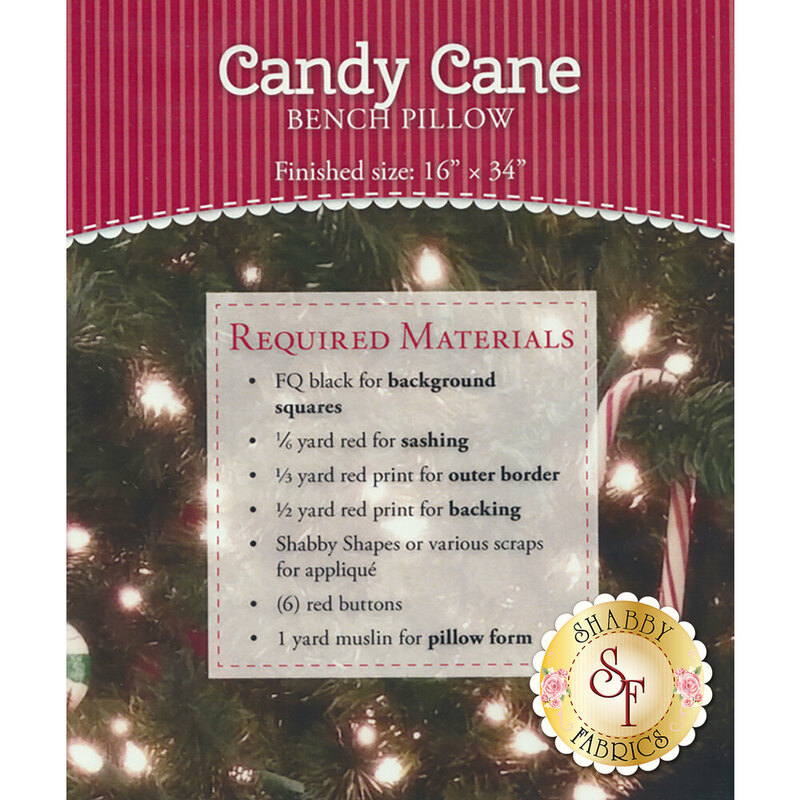 Follow along with Jennifer in the video below for additional tips on making the Candy Cane Bench Pillow!